An American couple who spent nearly two years in a Venezuelan jail received a heroes' welcome at the White House as they returned home Saturday after Caracas freed them in a bid to spur dialogue with Washington. But US officials immediately quashed any suggestion that the punitive sanctions against Venezuela would be eased after the release of Joshua Holt and his wife Thamara Caleno. "Very glad that Josh Holt is now back home with his family where he has always belonged. Sanctions continue until democracy returns to Venezuela," Vice President Mike Pence wrote on Twitter. Holt, a 26-year-old Mormon missionary from Utah, had traveled to Venezuela in June 2016 to marry Caleno whom he met online. But shortly after they married, they were arrested by the Venezuelan intelligence service on charges of possessing weapons and plotting to destabilize the government of President Nicolas Maduro. Meeting President Donald Trump at the White House, Holt, 26, said he was "overwhelmed with gratitude" before thanking those who supported them through a "very, very, very difficult two years." "Not really the great vacation I was looking for. But we're still together." 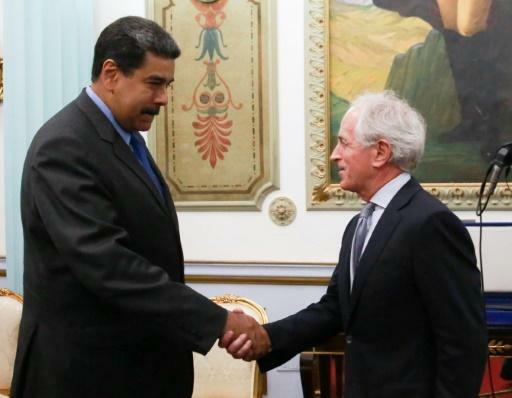 They were freed a day after Senator Bob Corker, chairman of the Senate Foreign Relations Committee, traveled to Caracas to meet with Maduro. It also followed a nearly two-year campaign for their release by Utah Senator Orrin Hatch. Both senators were at the White House as Trump met Holt and his wife along with his parents and Caleno's daughter from a previous marriage. "You were a tough one. That was a tough situation," Trump said. "You've been very brave, actually." After expressing her gratitude to Trump for securing her son's release, Holt's mother Laurie also thanked the Venezuelan leader. "I also want to say thank you to President Maduro for releasing Josh and letting him come home," she said. Speaking to reporters in Caracas, Venezuelan Communications Minister Jorge Rodriguez said Maduro had ordered their release as a "gesture" aimed at promoting dialogue with Washington. It was, he said, part of efforts "to maintain a respectful dialogue, respectful diplomatic relations, that will allow the doors to be opened to avoiding the aggressions to which (Venezuela) has been subjected." His remarks appeared to be a reference to the sanctions which Washington tightened this week after Maduro was reelected in a May 20 vote rejected by the US as a "sham." Such sanctions complicate Venezuela's efforts to sell off financial IOUs known as "accounts receivable" -- a practise used to garner much-needed revenue for the cash-starved regime, senior US officials say. After the couple were arrested on June 30, 2016, top Venezuelan officials had accused him of being a US spy. 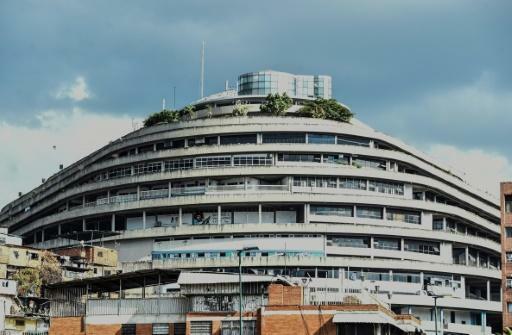 Holt and his wife were held at the Holicoide prison in Caracas where Venezuela's Sebin intelligence service is known to hold political prisoners. Earlier this month, Holt was seen during a protest by opposition activists jailed at the massive hilltop structure, and had also appealed for US help in a video posted on Twitter. After Trump tightened the sanctions on Monday, Maduro retaliated by giving the two top US diplomats in the country 48 hours to leave, accusing them of conspiring against his government. As he took the oath of office on Thursday, Maduro acknowledged that the sanctions were biting, and recognized the need "to change this country." On Friday, human rights monitors reported the release of 20 activists who had been jailed for protesting against the government. Geoff Ramsey, of the Washington Office on Latin America, which advocates for human rights, said that by releasing Holt, Maduro "wants the world to know he is willing to talk." A White House statement issued later thanked the "Maduro regime for releasing the unjustly detained United States citizen," but insisted US pressure would continue until Venezuela holds fresh presidential elections. The Venezuelan economy is in shambles. Hyperinflation is expected to hit 13,000 percent this year and dire shortages of food have driven hundreds of thousands of citizens to pour into neighboring Colombia and Brazil. Maduro has insisted Venezuela is the victim of an "economic war" waged by the conservative opposition and external powers including the United States aimed at toppling him. 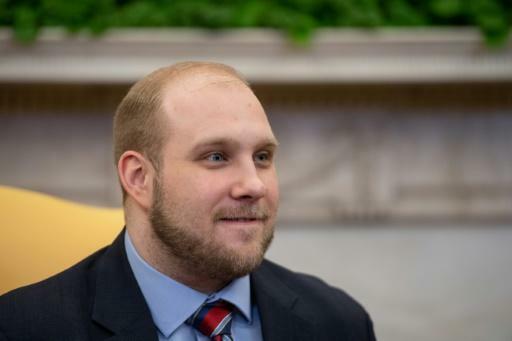 Joshua Holt, who had been detained in Venezuela for almost two years, said at the White House after his release that he is "overwhelmed with gratitude"